It’s an historical release in a sense. I mean, it’s Queen’s first EP! The CD version is a 3″ CD, and they’re just so damn cute. “Good Old Fashioned Lover Boy” is an irresistible piano bopper from A Day At The Races. If you don’t like this song, then you don’t like Queen. It’s that simple. When I think of Queen, “quintessential” Queen, I think of happy piano songs like this with lush vocal arrangements. Catchy as hell. Up next is “Death On Two Legs”, one of Queen’s harder rockers, and the opening number from A Night At The Opera. I love this tune, it’s aggressive with great Brian May guitars. “Tenement Funster” is a Roger Taylor vocal, from Sheer Heart Attack. I’ve always been fond of Taylor’s vocal stylings. I consider this one of his trademark songs, like “I’m In Love With My Car”. It may start slow with some sparse acoustic guitar and vocals, but it sure amps up with layers of May’s guitar and thundering drums! Lastly, “White Queen (As It Began)” from Queen II is a brief (but epic) May tune, sung by Freddy. This one is most notable for Brian’s intricate soloing. It sounds like sitar, but it’s actually a guitar that Brian modified himself to sound that way. Queen’s First E.P. is not an essential purchase, obviously, because all these tunes are available on albums. However as a fun little collectible, I love it. I love things like this that duplicate classic vinyl releases, and I love 3″ singles because they are so hard to come by. Gotta love it. When they started touring with Paul Rodgers, I salivated! I loved the live album Return Of The Champions, and I was chomping at the bit to hear some new music. Would I, as a long-time Queen fan, be let down? There have always been Queen albums, particularly in the 80’s, that I felt had filler on them. Cosmos Rocks is like that. Some songs are awesome, worthy of the Queen legacy and a proud addition to the canon. Others are limp are dull. And, the best song didn’t even make the CD release! Read on…. 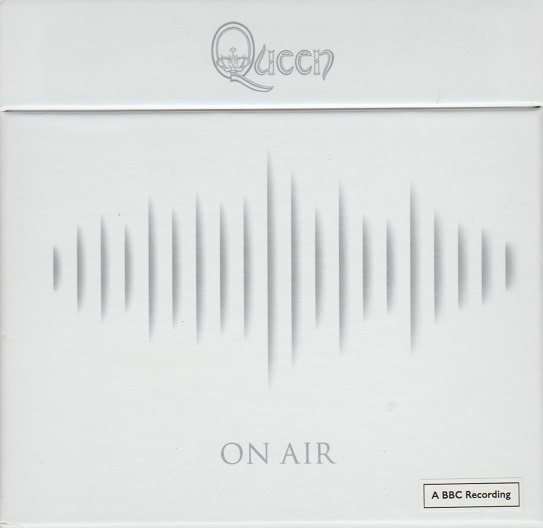 The CD kicks off with what I consider to be some cheesy sound effects, similar to but not as good as “One Vision”. Then, Brian May’s guitar kicks in, and the first track “Cosmos Rockin'” really starts. This is a great track, a hard and fast rocker with May’s licks as fluid as ever. Paul Rodgers, perpetually young, is in fine voice. What a great start to a comeback album! Rogers and May ably handle all bass duties on this album. Rodgers sings most leads on his own, with familiar sounding backing vocals by Roger Taylor and Brian May. On some songs, the lead vocal is split three ways, such as “Say It’s Not True” which is actually an older song from 2003. I like this touch, as it keeps the sound a little more rooted in old-school Queen which always had Taylor and May singing lead. When Rodgers sings, however, with his voice in full power, it is a brand new beast. Some of the other highlights on this album were the heavy-handed first single “C-lebrity” which seems to disparage the reality TV that Queen would later embrace! I prefer the disparaging sentiment! “Surf’s Up…School’s Out!” is another rocker that blows the doors off most younger bands. “Say It’s Not True” is a highlight, as it is the most Queen-like. Of course, with Freddie gone, his dramatic flourishes and piano was also gone, leaving Queen as a straightforward rock band with May & Taylor firmly in charge. What they once had in unique operatic flourishes has been replaced by hard rocking guitars, for better or for worse. It is what it is, and nobody can be Freddie. “Small” is a fantastic ballad, worthy of the Queen back catalogue. May and Taylor join Rodgers on the lush outro. I absolutely adore this song. But then when you think Queen have lightened up, “Wayboys” assaults the speakers, a rare political statement with a military drumbeat. 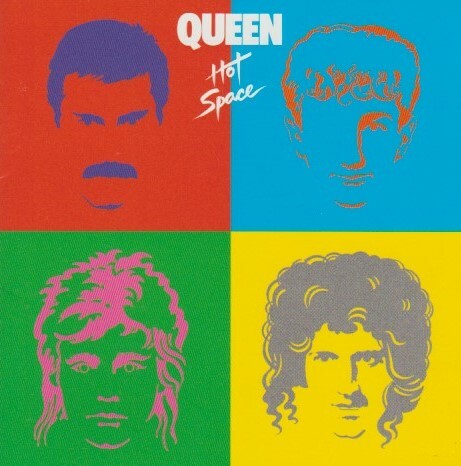 “Call Me” is another great tune, very vintage Queen in style, sort of an electric campfire singalong. There is, unfortunately, a lot of filler on this CD, slow-paced plodders that don’t go anywhere or stay in your memory. The thing about the Queen of old is that they were very diverse. You could have a nice jaunty flamenco song like “Who Needs You” on the same album as an epic like “It’s Late”. Queen + Paul Rodgers lacks that diversity. Well, it would have had more diversity if the best song had been included…. That best track I mentioned, that isn’t even on the CD, is available as an iTunes download only. It is a cover of Del Shannon’s “Runaway”, and it is worth the purchase, because it is amazing. I love the oldies, and clearly these guys do too. I wish it had been included on the CD. There is no shame in having a cover tune on your CD, especially when you also have over a dozen originals as well! 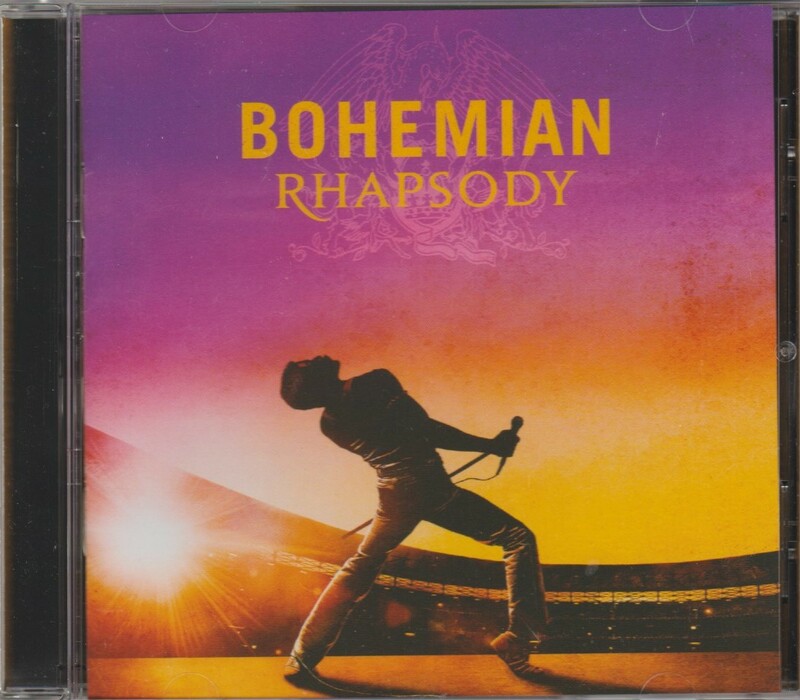 The iTunes download also came with a new live version of “The Show Must Go On”, but I have no idea when or where it was recorded, except it is a different version from the one on Return Of The Champions. Maybe it is from one of the Queen instant live CDs, of which there are plenty, or maybe it is from the Super Live in Japan DVD that comes with some editions? There was another bonus track too, one I haven’t heard, because only American residents can get it from the Amazon.com site. Canadians are SOL! “Fire And Water” (a live version), originally by Paul in Free, is that bonus track. Come on, Amazon! Let Canadians buy it too! This actually really pisses me off. The Cosmos Rocks is not a perfect Queen album, but one that stands up in the back catalogue as an interesting and entertaining sideroad. The big difference is that The Cosmos Rocks has more, and bigger, guitars than many Queen albums of the recent past.